The iPhone XS Max has a beautiful dual-camera setup. It’s able to take some phenomenal pictures and take even better video in its 4K format; however, our hands just don’t have the precision to capture the smoothness of video found in the cinema. How can you capture that sort of smooth video with the iPhone XS Max? Well, it’s easy, and all it requires is a video stabilizing gimbal. So if you’re ready to pick up a video stabilizing gimbal so that you can create the professional footage found in the cinema, be sure to follow along below. We’ve compiled the best video stabilizing gimbals on the market for you. Here are our top picks. The first video stabilizing gimbal for the iPhone XS Max that we’re looking at is MOZA’s Mini-S. First announced and shown off at CES 2019, the MOZA Mini-S finally here. The iPhone XS Max is equipped with an excellent camera already, but the MOZA Mini-S takes care of the small details that completely smooth out your video. It has an adjustable clasp on it, which allows you to use the Mini-S with many different smartphones out there. On top of that, there’s a swivel mount on it, which allows you to quickly and easily switch between portrait and landscape modes for live streaming. There’s a bunch of shortcuts right on the handle as well, which allows for smoother operation. Snoppa’s Atom might be a pretty basic and simple choice for the iPhone XS Max, but it does achieve the gimbal functionality that most people are looking for. Set your iPhone XS Max inside, and the electronic motors will work to keep your phone’s video filming as smooth as possible. 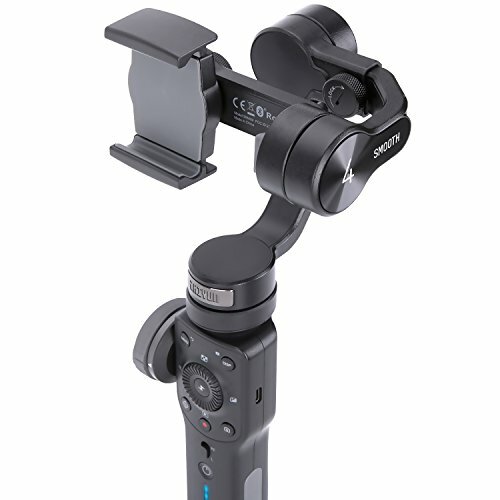 It connects up over Bluetooth, but does have a 24-hour battery on the gimbal itself. On top of that, there are a variety of shortcuts on the handle for quick access to many Camera functions. Snoppa built the Atom with some excellent portability. It’s lightweight, easy to fold up, and you can carry it with you almost anywhere, even fitting it in your pocket, if needed. DJI is a well known brand when it comes to photography and film. That said, you’l love the advancements that DJI has made with the Osmo Pocket. Believe it or not, it’s able to work independent of your smartphone — all you have to do is hook it up over Bluetooth or with a wire. From there, you can use the Osmo Pocket itself to film or snap photos, as it has its own camera sensors. Quality is actually really good, able to use it to film in 4K resolution, and at a whopping 60 frames per second. The Feiyu Vimble 2 is another one that will work great with the iPhone XS Max. Feiyu makes it easy for even the layman to setup the gimbal — just set it on the smartphone mount, and you’re ready to go. Electronic motors work to keep the film quality smooth automatically — there’s nothing that you yourself have to do. There are a bunch of shortcuts right on the handle as well. To get those to work, connect the Vimble 2 to your iPhone XS Max over BLuetooth. Since this is a Bluetooth gimbal, it does have its own battery that you’ll have to monitor, but that enables you to have wireless functionality here. The DJI Osmo Mobile 2 is the best of the best as far as video stabilizing gimbals go. DJI has made a name for itself by bringing consumer drones to the market that can record smooth video from up in the air. The stabilizing technology is amazing, and they’ve brought that same technology to the Osmo Mobile 2 gimbal. That said, set your iPhone XS Max in this gimbal and you’ll have able to transform the stabilization and smoothness of your video. DJI has placed a ton of feature shortcuts right on the handle, giving you quick access to things like start and stop recording, shutter, live streaming, panorama, time lapse, slow motion, and more functions. There’s even a dial for zooming in and out. The Osmo Mobile 2 does connect to your iPhone XS Max over Bluetooth. That does mean you’ll need to make sure the gimbal itself is always charged before use. The DJI Osmo Mobile 2 has a lot of amazing technology packed in it, but not everyone wants to pay the high price point for that technology. That’s where the Zhiyun Handheld Gimbal comes in — offering similar stabilization tech with similar features, but at a slightly lower price. 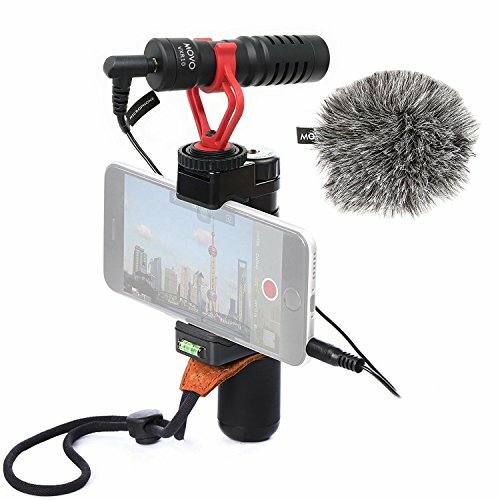 The Zhiyun Handheld Gimbal is pretty versatile in that it can be adjusted to fit almost any smartphone on the market. Set your iPhone XS Max in the mount, and electric motors will work to smooth out the footage. There’s actually feature shortcuts right on the handle, giving you quick access to many of the features that we mentioned earlier — start and stop recording, shutter, live streaming, and more. 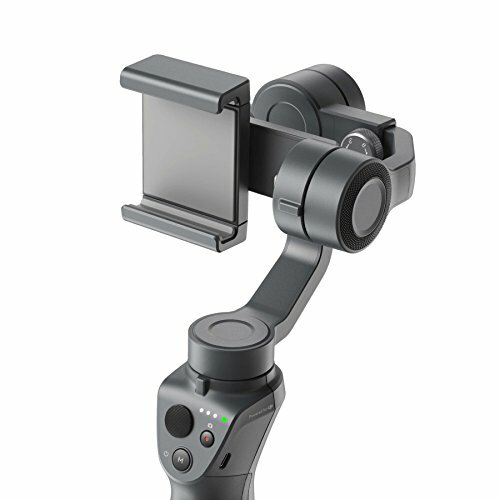 Similar to the Osmo Mobile 2, the Zhiyun Handheld Gimbal connects up to your iPhone XS Max over a Bluetooth connection. That does mean the gimbal has its own battery, so you will have to keep it charged in order to use it. The DOBOT Rigiet is next up on our list, and for good reason. An excellent gimbal will cost you almost $200, but one of the things that the Rigiet banks on is being able to offer similar features and quality at a cheaper price point. That said, set your iPhone XS in the Rigiet and electric brushless motors will work to keep your video smooth. it has a bunch of feature shortcuts right on the handle, which gives you quick access to start and stop video recording, shutter, panorama, time lapse, and more. It’s best feature is just how versatile it is — you can easily adjust the clasp to fit almost any size smartphone on the market, including that of the 6.5-inch screen on the iPhone XS Max. Maybe you want something a little more on the basic spectrum. 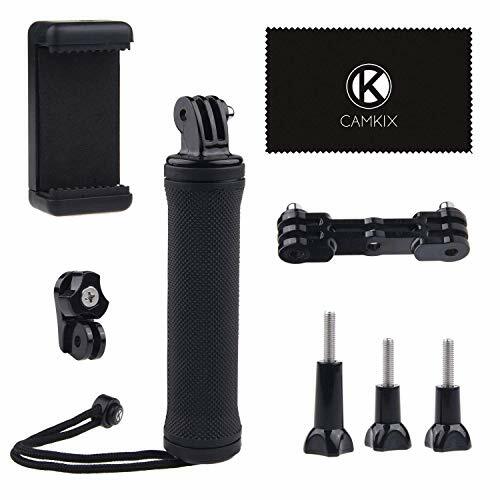 The CamKix Stabilizing Hand Grip fits that criteria. Set your iPhone XS Max in the phone mount and you should be able to record video with smooth quality. There’s no wires or Bluetooth to connect to your phone, and there’s no shortcuts on the handle. Like we said, the CamKix is pretty basic, but it does one thing that’s pretty unique: the ability to record from two angles at the same time. That will require you to have two recording devices, but the CamKix can support two devices at a time. 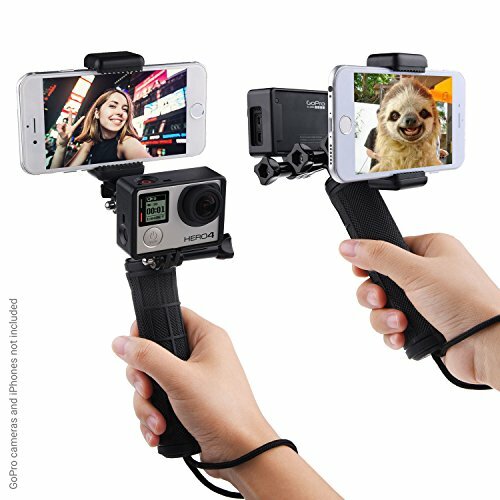 Set your phone in the phone mount and record from one angle, and then set your GoPro in the camera mount to record from another. 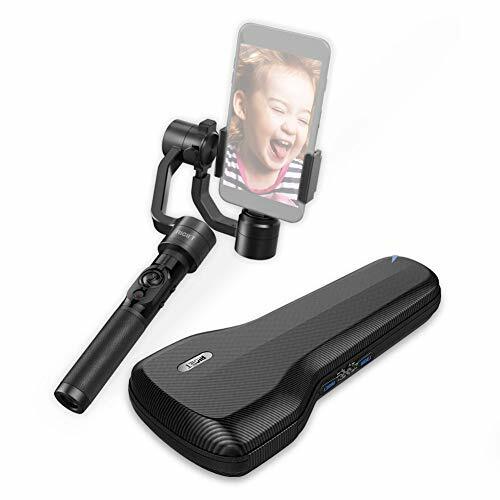 The Movo Smartphone Video Right might be last on our list, but this is a great way to increase your video footage across the board. Set your iPhone XS Max in the phone mount to get stabilized footage. And then, if you want to make the audio quality crystal clear, you can connect up the the external microphone to your iPhone XS Max. As you can see, we’ve gone through and compiled five of the best video stabilizing gimbals on the market. 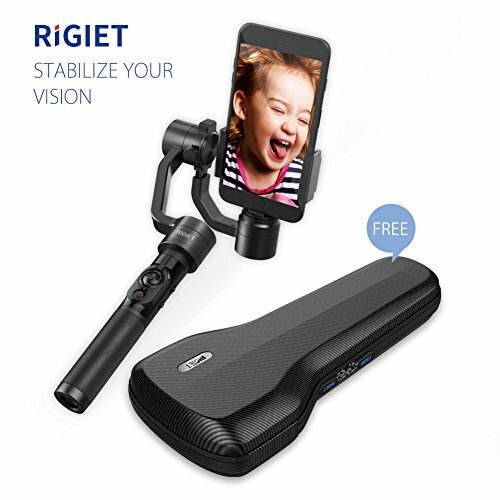 If you want to make sure you’re getting something basic and cheap, the Movo Smartphone Video Rig and CamKix Stabilizing Hand Grip aren’t bad options. But, if you want the creme of the crop in gimbals, go with the Osmo Mobile 2 or Zhiyun Handheld Gimbal.